Sample an arrangement of our delicious Seafood Boils or specialty sushi rolls! With a succulent assortment of Blue Crab, Snow Crab, Dungeness Crab, Lobster, Crawfish, Shrimp, Clams & Mussels, & more! Your Choice of: Cajun, Lemon Pepper, Jazz It Up, Mild, Medium, Hot, Barbecue or Our Tangy House Sauce! Add Jazz It up Sauce! We were seated at 12:00am. There was maybe 4 other tables with guests. It took the waiter 15 minutes to address us. At 12:30am I waved him over for drinks, he stopped by and said that he’d be right back with waters and to take our order. At 12:50am we decided to go somewhere else..
We have so much fun everyone we go. The DJ is live and interactive. Love it! It's hit and miss with the band at times... But the DJ is everything! The food is hit and miss as well. My steak was cooked a little too hard this time but it was tasty and the food temperature was slightly warm. We always like to sit in the front close to the dance floor so it's expected to be LOUD. Seated us timely with our reservation. Server could have checked more on our table. Food was good and hot. Don't go there for wings..lol. Cooked too hard. Stay in the seafood lane. Great DJ! The service was horrible. Afrer we ordered our food, the service person brought out the food without utensils or all of the sauces that accompanied our dishes. The service pserson dropped the food off, we had to ask the host for the needed items. It seemed as if the service personnel wanted to hang out in back. When it was time to leave and pay the bill, the service person AUTOMATICALLY added gratuity for 2 people and never explained the gratuity. When questioned about the EXTRA charge , they Oh and proceeded to give back in CASH the extra tip on top of the embedded gratuity. In fact , the service person got tipped for POOR service without my CONSENT. If we were not in such a hurray, I would have had MAJOR complaints at that moment. I WILL NOT REFER. I'd give this establishment no stars but in order to get to this point I rated it 1 star. We arrived for our scheduled reservation and was told the wait would be 45-60. The front of the house was very disorganized. The host seemed overwhelmed. There were several people stating they had a reservation and was told they'd have to wait as well. Strangely, a couple before us didn't have a reservation and was seated before us. We were finally seated and because this restaurant has a club environment, we were very displeased. We were seated in a booth and the table in front of us started dancing in front of our table and at one point bumped it. We finally decided this place wasn't for us. On the way out we encountered several other patrons had given up on waiting on a table and decided to leave. In addition, the parking for this establishment is park at your own risk of having your car damaged (double parked vehicles everywhere) However, we did notice the manager of the restaurant had a private spot in front of the door (signage and all). I guess his BMW was more important than mine. Please remove this restaurant from Open Table, they do not deserve to be a part of this organization when they are incapable of meeting your standards. Service was extremely slow. We were a group of 5. Food for three were brought out. 30 minutes later food for the 4th in our party was brought out. The food for the 5th was about an hour later. The music was good. Our waitress was cool and warned us about the slow kitchen. Pay close attention to the gratuity added. It was just OK. There was no ambiance... for the price of the food, not good. Floors were slippery! I saw several people sliding, including myself and I was in flats. Security at the door... not the best place for date night. Spent over $100! Just beware, gratuity is automatically added and we had to wait about 40 min AFTER we were done eating to get the bill and pay. I will not be back. The service and food was horrible. I ordered shrimp and grits and it took 40 minutes for my food to come out (the restaurant was practically empty) the food wa bland and lumpy. I told the server and he said he'd get three manager. After 20 minutes the server, not three manager came to the table and told me 20% would be taken off of my bill. Since gratuity is mandatory apparently, even for crappy service, the "discount" only took care of the gratuity. Never again!!! My only complaints is that we didn’t know there’s a 2 hour seating limit at the tables. If we would have known that, we would have made our reservation a little later so we could hear the band. Also, we love oyster and they was out of raw oysters and garlic Parmesan sauce. The band and the oysters were the main reason for us going. Love the atmosphere. Very good service, food and band. Great place! I am allergic to shellfish but had no adverse reactions (took Benadryl) tho. The fumes were not bad like at Papaduex. Entertainment was great. Food awesome. 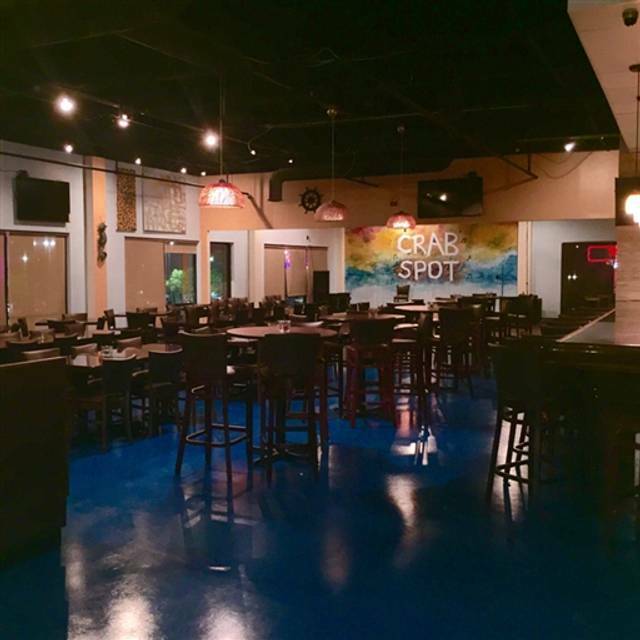 Me and my party had a wonderful time, thanks a bunch crab spot!!! I was very disappointed, and a little embarrassed. I suggested meeting there for brunch to some of my friends because I had been there previously for dinner. On sight the parking lot was full of trash. Then the elevator was smelly and dirty. Then the floor was slippery and the staff areas were visibly unorganized with “stuff” piled around. One worker even had a bonnet on her head! The food did not come out in a timely fashion (it took almost 45 mins for the first buffet items to become available), and some of the supposed options never even made it out. The chef even told my friend that there wouldn’t be any waffles because the waffle machine kept shorting out because there was too much “stuff” plugged into the electrical strip. And then we were charged gratuity for a party of 4. I felt bad for having chosen that restaurant because that was a special day of celebration for us. Never again. Black folks need to do better for black dollars. Then they wonder why we don’t come back. We were celebrating my Aunt’s bday. Started with the Bar Tender having to serve as Hostess, Waitress and not being familiar with the menu found her running back and forth to kitchen. Then our orders took too long, the Chef came out to apologize that they didn't have the fish we ordered because they held a party for the Love & Hip-Hop Cast the night before. The Seafood was fried in a batter that was Hard, Thick and Gritty. The Check was wrong and it took forever to cash out and leave. I'm just hoping it was a Bad Day for them. We made a reservation for diner on Christmas Day at 3:00 and when we arrived after a $20 taxi ride the staff said oh you are the 3:00 open table reservation. We are sorry we decided that we are not go to open today until 5:00 today, but we can get you in at 5:00. So we are from out of town. And had a hard time finding somewhere open on Christmas Day. I had Waffle House instead. Not exactly what I was planning for dinner. I would not recommend going to Crab house. I don't understand why I was allowed to make reservations for a table, and once I got there, we weretold that they were closed due to remodeling. It was my husband's birthday, he ended up eating McDonald's because everything else was closing early. Came for a birthday dinner! Had a great time! They advertised all you can eat crab, shrimp, and crawfish for $19.95. We requested this from our server and was nonchalantly told "there was a last minute scratch on that." I explained this was the very reason we drove from Cobb County, and there was no concern or attempt to compensate for the confusion. 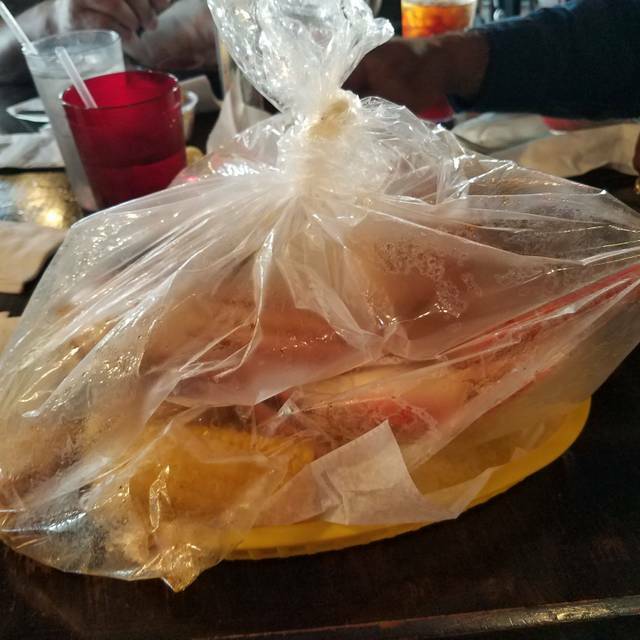 My husband ordered a crab and shrimp basket which couldn't feed a toddler and cost over $30. I had pasta. 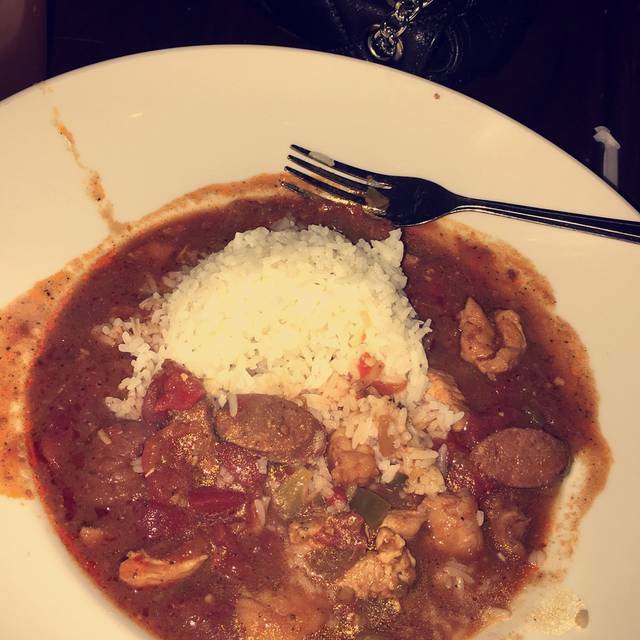 The food was tasty, but not worth the cost, and the drinks were overpriced. We ended up spending $155. Which was NOT the plan. I would NOT reccomend this place to anyone due to the way they do business and they are way overpriced! The only bright spot was the band! Great Service! Keep up the good work! Had a wonderful time. The food and waiter went above and beyond! I didn't order the crab cakes but I did taste them & was disappointed to find no lump crab. However, Youngblood provided good oldies & my 87 year old Mother couldn't stop dancing! We ate catfish and shrimp was very good our waitress was nice she did her best it seems like they only had one waitress my heart went out to her they was working mrs janae. Everything was good my shrimp and fish was very filling and delicious. My friend order the pasta wasn’t worth $24. The atmosphere was nice. I love the live band they was really good. Just mad everyone left when dj start playing. Not like it was when it was in Gwinnett. everything was good. A little confused as to why they charge 18% gratuity to every check. Even if you eat by yourself at the bar its still 18% gratuity. The food and the service was good. I would eat here again if I'm wanting quick crab legs. We enjoyed the live band on Saturday night. The food was good and service was good. We would go back again. I went for my anniversary and had a good time. The food was great. The entertainment was good too. The only thing I didn’t like was the fact that our waitress over charge us on our ticket. So please check your ticket twice. It would be better if kids weren’t allowed after 8 on weekend. 1st time @ Crab Spot. Great. Menu selection is killer GREAT. Had a Dungeness Crabs and Shrimp boil, got 2 select my choice of spices. Appetizers were good for choices. Had deep fried deviled eggs. Tasty and enjoyed them. Good selections of beers and wines + cocktails. Service was excellent and the waiter was friendly and helpful. Park in their lot in any place even though the parking signs give you signs for certain restaurants. We celebrated my husband’s birthday evening at this restaurant. 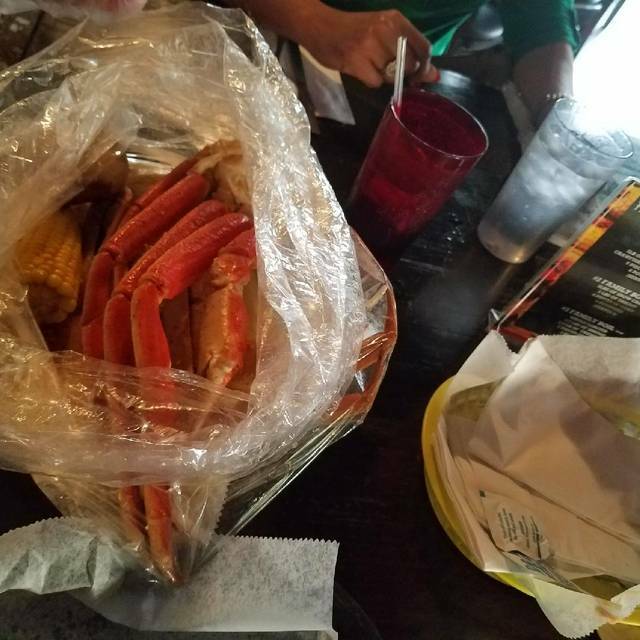 We could not wait to try the crab legs which were recommended to us by a friend. We ordered and they came back to the table to tell us they had no drawn butter. NO DRAWN BUTTER AT A CRAB RESTAURANT? We were some of the first customers that evening, so they could not have exhausted a supply of drawn butter. They were ill-prepared. We could not find our waiter most of the evening, thus we had to ask other wait staff to help us. Poor service from our waiter, great service from other wait staff. 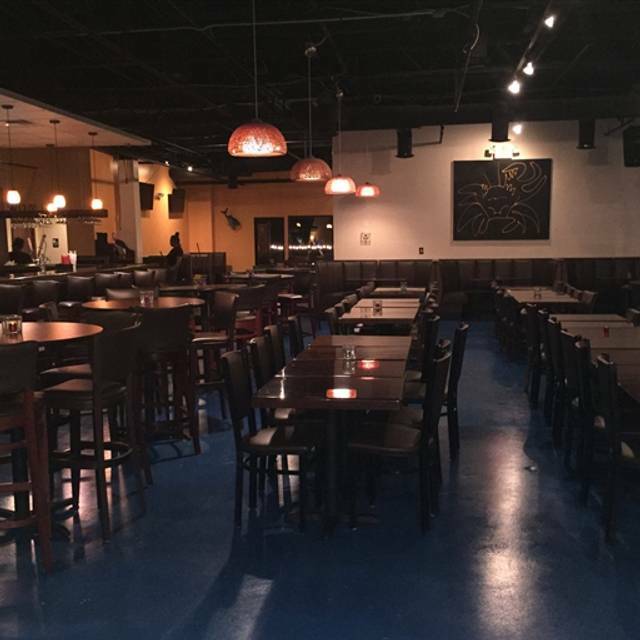 Had some disappointments, doors were not open when we arrived, they cleaned the floor while we're there with ammonia and brought out the food, 18% gratuity included for each individual person is a bit much, some of the buffet food was cold, but our server was very nice. The food was horrible!!! My lobster tail was chewey it tasted funny.